Polish gas company PGNiG expects to spend more than 7.5 billion zlotys ($2 billion) on its distribution network by 2022, its chief executive said, after shareholders recently voted in favour of investment over dividends. That level of spending would be up from around 4.7 billion zlotys over the past four years. In a vote on July 20, shareholders of the state-controlled company, Poland’s dominant gas provider, voted to allocate 2017 net profit to reserve funds, freeing it up to be used for investment. “As long as our owners will not require dividends, we will certainly invest in distribution, even over the figure of 7.5 billion over the period by 2022,” Chief Executive Piotr Wozniak told a conference call with analysts. PGNiG had planned to spend half of 2017 profit on dividends before holding the vote on the issue. When asked about dividend payouts next year from 2018 profit, Wozniak said it was too early to comment. He was speaking after PGNiG reported a 41-percent rise in second quarter net profit from a year earlier to 704 million zlotys on higher oil and gas prices and increased sales. PGNiG imports most of the gas it sells from Russia’s Gazprom , but has taken steps to reduce that reliance by buying more liquefied natural gas (LNG) from Qatar, the United States and Norway. 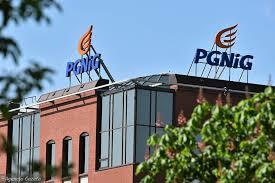 “Russian prices in this region are still at a very high level,” Maciej Wozniak, PGNiG deputy head, said on the call. In June a Swedish arbitration court said in an interim ruling that PGNiG could demand a lower price for gas it buys from Gazprom. Piotr Wozniak said on Thursday that he hoped there would be a final ruling by the end of this year.